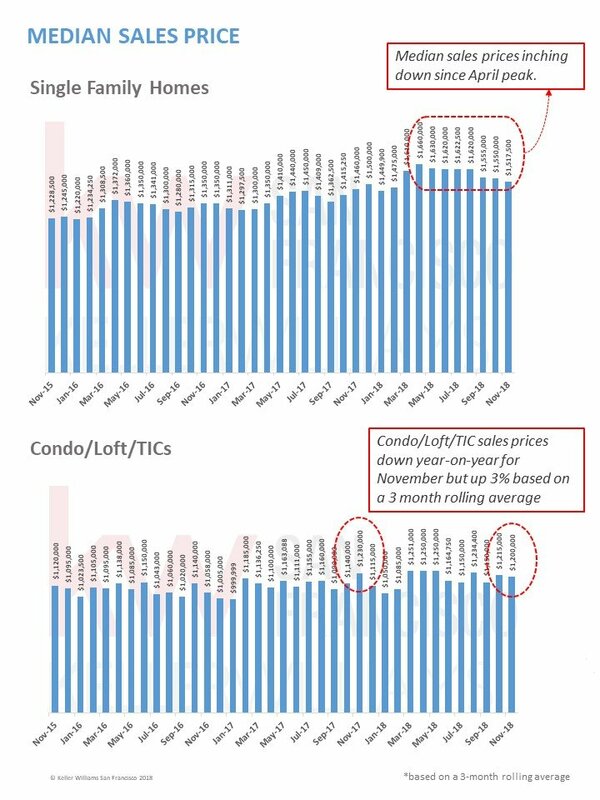 Why is the value of tenant occupied property in SF so low compared to the rest of the market? 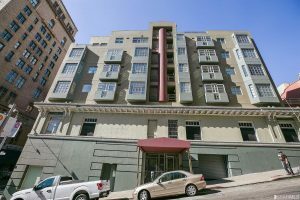 Why is tenant occupied property harder to sell and less valuable than vacant property in San Francisco? There are a few different factors making tenant occupied property less valuable and/or harder to sell. In each case, the investment on the part of the owner was less than 50k and you cannot make these improvements with tenants in the home. -This is the big one: they are spending everything they’ve got just to buy the house and the financial risk that the tenant might not move is too much for them. Roughly, the process of doing an owner move in eviction costs 18k+/- and will take a minimum of 2 months based on statutory requirements. It is generally wise to budget 25k and 4 months. The tenants may want to be bought out at a higher than statutory rate because they think they have a way of fighting the OMI. The fact that in order to occupy the property they will have to go through an legal process with an uncertain outcome is something most buyers cannot stomach and this decreases the value of the property in proportion to the perceived risk. This is important especially in multi unit where you have investor buyers. The value of a property is related to the cap rate or gross rent multiplier (“GRM”) and this is based on the rents for the units. Buildings in Sf sell for between approximately 14 and 22 GRM depending on the outlook for turnover, banked rents, etc. The GRM is the number of years it would take to pay back the purchase price based solely on the gross rent (without subtracting expenses). So if you have a property with rent of 2500/month, the value will be between 420k and 660k to an investor if they cannot see an easy way to raise the rents. Some tenants are lovely and make it easy to want to keep them in possession of their homes. They clean up, make the bed, and serve homemade piroshki to the realtors (true story). Other tenants – not so much. There might be threatening signs, deliberately bad housekeeping, or shouting. You name it, I’ve seen it. I was followed through a SFH in the sunset with a movie camera, a movie light with a a boom microphone flapping in my face. Most tenants are somewhere in the middle. Whatever the case, most buyers are uncomfortable with the feeling they are invading someone’s home – and perhaps rightly so! I think it is easy to see why this causes the property to sell for less. How does all of this affect value? When I’ve studied SFH, tenant occupied homes without illegal in-laws sell for about 30% less than their value. Tenant occupied SFH with occupied illegal units can sell for as low as 50% of their vacant, improved value. 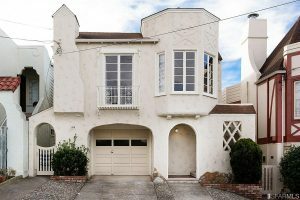 With the median price of a SFH at about 1.6MM, this is a lot of money. 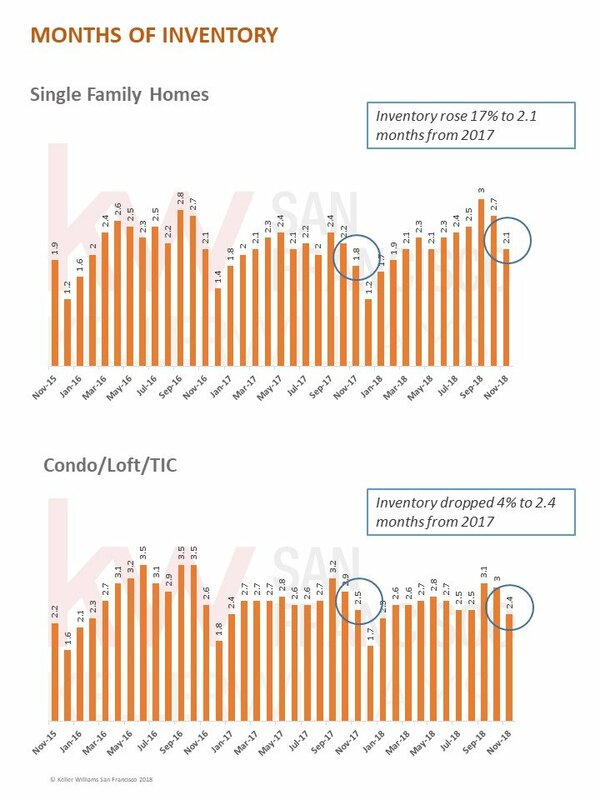 I have done extensive research into 2 unit buildings in particular and I found that a single vacant unit increased the value of the building by about 20% and that having both units vacant increased the value about 25%. This is in cases where the building was not remodeled. If an owner is able to, as in #1 above, stage and improve the home, the difference can be far greater. 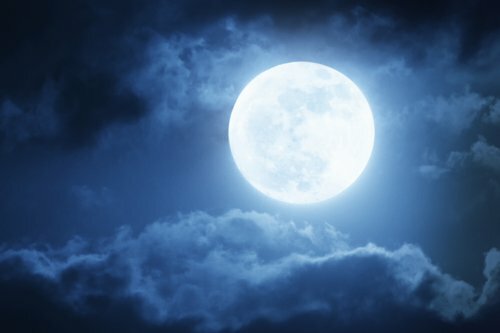 Rare Blood Super Moon Happening Sunday! Uncertainty in the market and the economy is the watchword. November followed October’s stock market gyrations with the result that all major worldwide stock markets are now in negative territory for the year. The Federal Reserve Chair has now hinted that the Fed may not raise the discount rate as previously planned in December. In San Francisco, four SF-based unicorns, Lyft, Uber, Pinterest and AirBNB, have each announced plans to IPO in 2019. 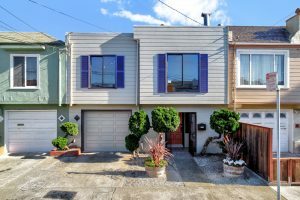 Since real estate is the biggest item that people buy following an IPO, this could buoy the San Francisco real estate market in spite of uncertainty or even a downturn in the US economy or continued interest rate rises. 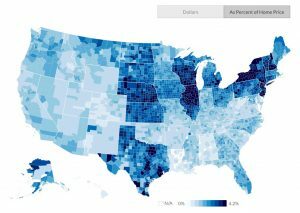 Locally, fewer buyers are participating in multiple offers and the percentage of homes selling above list price is falling. And, month-by-month, the median sales price of SF single family homes has eased downwards since April. The signs of the market shift are here: homes that are in move-in condition and priced well sell quickly with multiple offers. However, homes with problems are sitting on the market and taking price reductions and selling for far less than sellers had hoped to get. The three-month rolling average median sales price of $1,540,833 is up 9.1% over last year’s*. 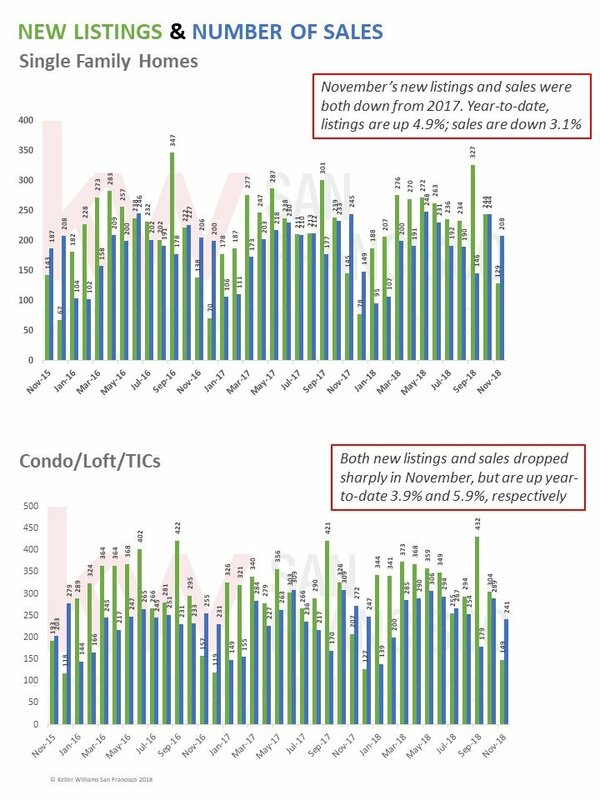 Year-to-date, new listings are up 4.9% while sales are down 3.1%. November’s inventory of 2.1 months is 17% higher than in 2017. 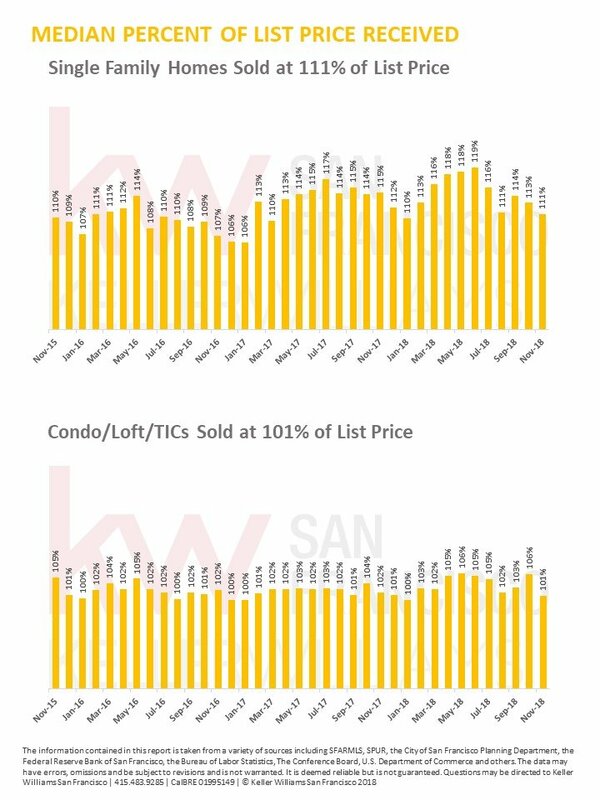 75% of homes sold over their list price and the median percent of list price received was 111%. The three-month rolling average median sales price of $1,188,333 is up 3.0% over last year’s*. Year-to-date, new listings are up 3.9% while sales are up 5.9%. November’s inventory of 2.4 months is 4% lower than in 2017. 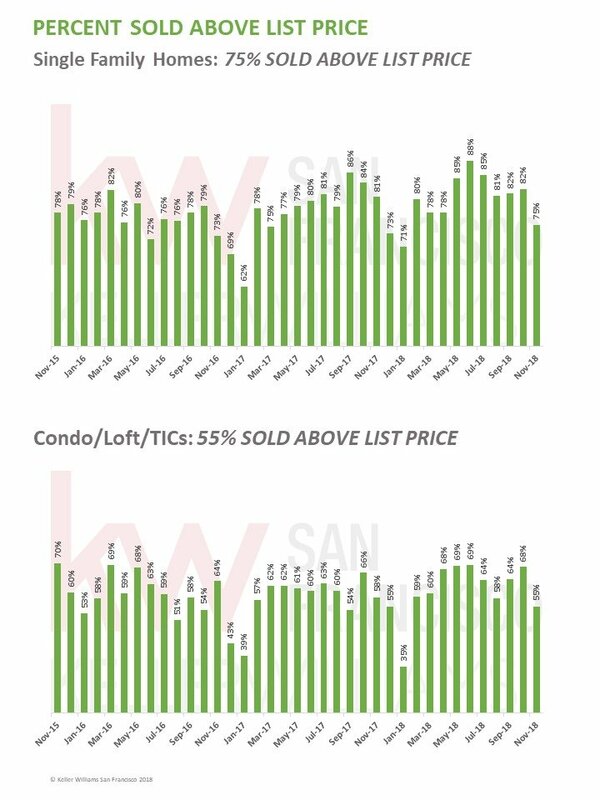 55% of condo/loft/TIC’s sold over their list price and the median percent of list price received was 101%. 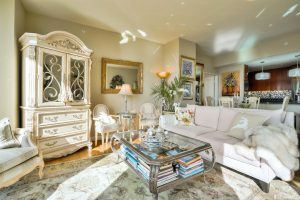 A great Realtor colleague in the south bay just shared this article with me about what buyers want when they are looking for a home. 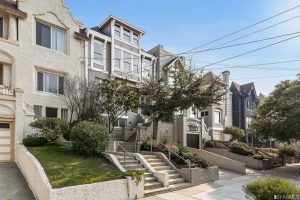 In San Francisco, we are rarely going to achieve the full complement of amenities that this report says buyers want, but it is good to keep in mind. The one that surprised me is the double sink. This seems hopelessly outdated to me as I really like my big farmhouse sinks. One thing that didn’t surprise me – buyers want environmentally friendly features but aren’t willing to pay more. At lease they want them! We will get there eventually! The National Association of Home Builders conducted a nationwide survey on what home buyers are looking for when purchasing a new house. Both people who had recently bought a home as well as prospective purchasers were asked what they felt were the most important features.